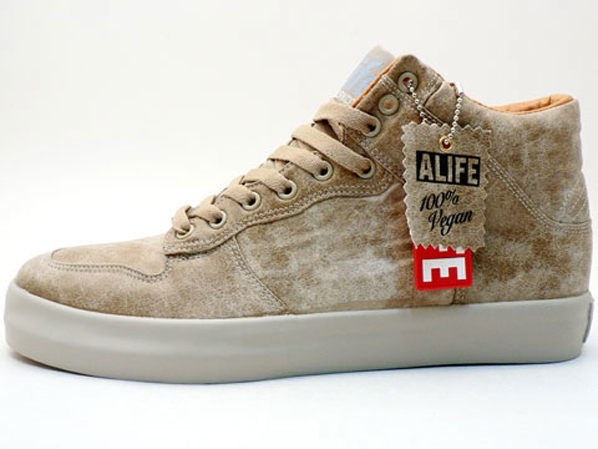 ALIFE made some awesome vegan "aged-leather" skate sneaks called EVERYBODY HIGH SEITAN. I really love the effect of this aged-waxed-canvas. Would love to see it on jackets, and other accessories! Hey designers, take note! These are from the 2008 collection, and there are still some left at PickYourShoes.com in TAN, BLACK, & BROWN. How did we miss this? Get on it! Can animals tell right from wrong? A new controversial study from the University of Colorado, Boulder suggests they can, and showcases many complex social behaviors as evidence. Of course we always knew they were smart, social animals, but the mounting evidence makes it more and more difficult to rationalize mistreating them. If you are in any business where you must print out flyers, lookbooks, presentations, reports, or post cards - or if you simply need a business card, it's helpful to know that there are green printers like GREENDOT in NYC, who use non-toxic vegetable/soy inks, the highest quality recycled/post-consumer-waste papers, and have years of print production experience. There is no aesthetic compromise, and I personally reccommend them! Elephants in circuses need our help. This latest video uncovered by IDA shows how elephants in Greece are abused by frustrated and cruel trainers who use bull hooks to inflict pain and force the animals to do ridiculous tricks. Often the rationalization for keeping exotic animals in the circus is that they serve educational purposes for children. It seems the only thing they are being taught is that animals are ours to exploit and abuse. Circuses teach us nothing of animals' natural inclinations, habitats, or behaviors.